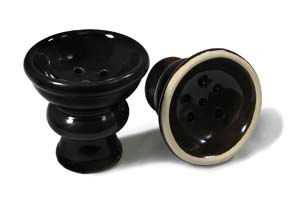 This Ceramic Bowl is one of the largest Hookah Bowls on the market.The bowl is coated with a high gloss, rich glaze that makes it very durable and requires a special white Chinese Rubber Bowl Grommet to ensure that this Hookah Bowl will fit your specific Hookah model.This type of Ceramic Bowl is preferred by Hookah smokers who are looking for an extra-large bowl that will hold a larger amount of Flavored Tobacco. The Ceramic Bowl provides for many benefits, as it does not stain or rust, is easy to clean, and retains a large amount of heat when smoking with the Hookah. 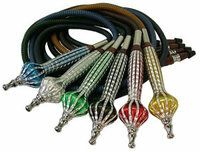 It is inspired by traditional hookah bowls that have been used to smoke flavored tobacco for centuries. 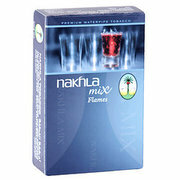 It is certain to last years with the proper care and is perfect for anyone who dreams of a perfect Egyptian style hookah bowl. The Ceramic Bowl can hold approximately 25 grams of Flavored Tobacco. Some variation may occur, contact Customer Support for further clarification. Variation Warning Please be advised that the inside portion of the bowl may come as glazed as pictured above or not glazed. Please Contact Customer Support if further clarification is necessary.